Do you often wash your hands and think you’re absolutely hygienic? Well, you are not! This is because your hands unintentionally get infected by bacteria, when you turn off the tap after cleansing. However, to keep germ at bay designer Fraser Leid has created a stunning contactless faucet dubbed Hudōr Faucet. This eye-catching faucet is inspired by Audi and comes in the same ring-shaped design. 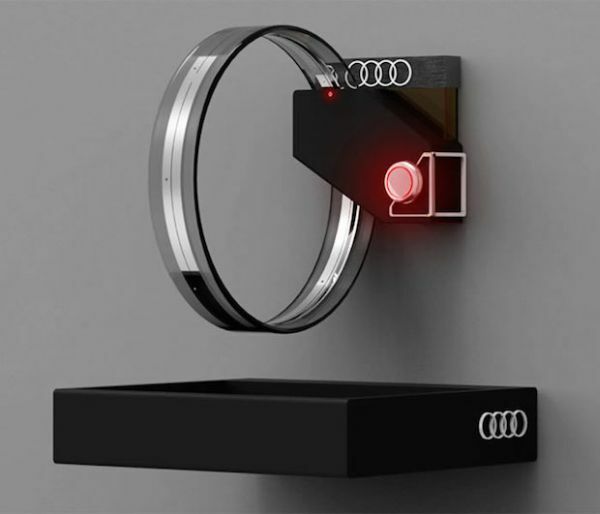 At first glance, the ring-like spigot seems to be an attractive towel ring, but on getting closer you’ll find out it’s a futuristic hands-free water fixture, boasting renowned Audi logo. The touch-free faucet features a motion detector, a replaceable liquid soap dispenser and a bacteria disinfectant black light to ensure proper hygiene of the user. 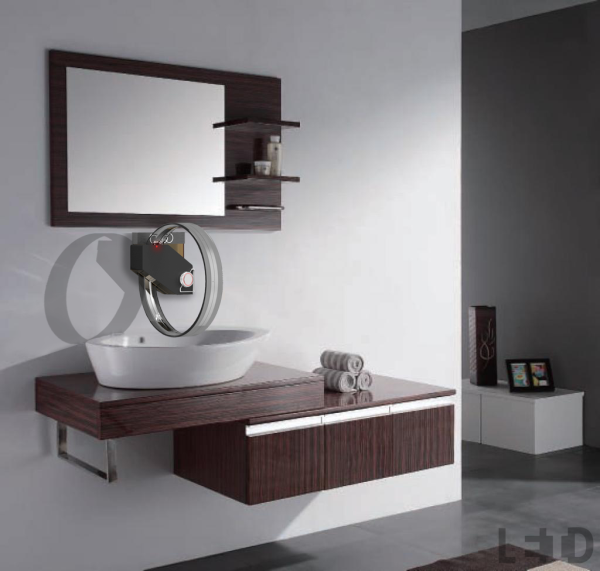 The circular ring consists of tempered glass that is adorned with two functional aluminum rings. One of these aluminum rings incorporates several spouts to spray soft jets of water in various directions. The other ring houses a black light to sanitize the users’ hands of bacteria while washing. There is also a built-in infrared motion sensor at the base of the faucet ring, which detects hand motions for turning on/off the water jets. A replaceable liquid soap dispenser is located at rest of the housing, so that it can easily blend with water for thorough cleaning. Furthermore, a simplified temperature adjustment rail is also present at front portion of the base. Although details about its pricing and availability are not revealed yet, but who wouldn’t like to add this stylish faucet into their bathroom? Its eye-catching design merged with futuristic technology will certainly provide ultimate cleaning experience to the users, like never before.